Polaroid accessories for my SLR - really looking forward to playing around with these! Silicon tea cup cake moulds - tea cups AND baking.... my sister knows me well! H&M and Zara vouchers - Vouchers are always wonderful. 'Nuff said. CK One Shower Gel - if you haven't smelt CK One, you really should. It's unisex and I've loved it for years! Vogue and Harper's Bazaar - magazines like these are always a treat as I can't afford to buy them regularly! Lee Evans DVD - I went to see this show in 2014 so it'll bring back good memories of a good night! Cherry eau de toilette - the perfect size for carrying around in my bag every day. Bravo again Alison! Creative writing book - I'm really into writing and write a lot, so this book was a lovely surprise! 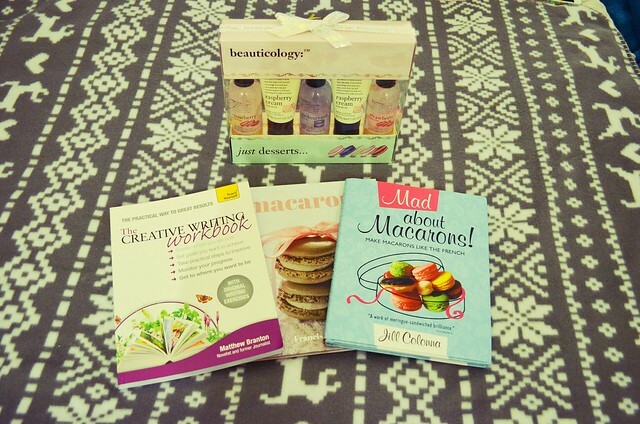 Macaron books and toileteries - clearly everyone knows how much I like macarons! 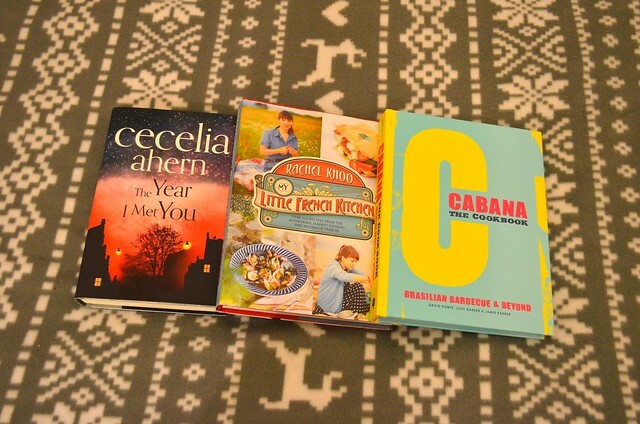 Cabana cook book - one my favourite places to eat, so looking forward to re-creating the recipes! 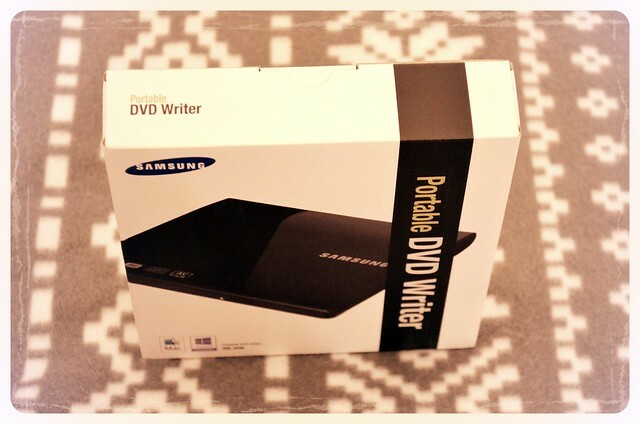 Portable DVD player - Perhaps quite boring to some of you, but I was really excited about this particular gift! I acquired two new laptops in this year (one work, one personal) - neither of which have disc drives. Although easily amused with Netflix and Amazon Prime, there are some evenings where I just want to watch a damn DVD. And now I can. The more eagle-eyed of you may have noticed that I still have a Christmassy throw on my bed. I'm still hanging onto it, because if I take it off then it means that Christmas is officially over... and taking down the tree was hard enough *sob* This particular throw is so soft and cosy at night that it may have to stay a little longer until I can find a new - non festive - replacement! If you know of any nice ones, let me know in the comments below! 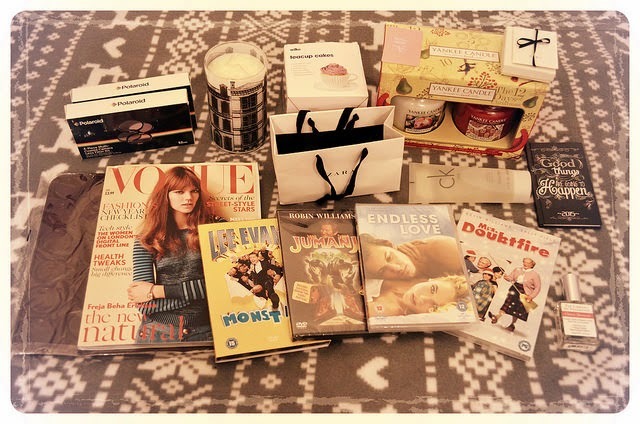 What did you receive over the festive period? I'd love to know! Love posts like this! But that's because I'm nosey ;) I especially like the add on for your SLR. JEL! don't think posts like this are bragging though, at the end of the day, it's your blog and you can post what you like!